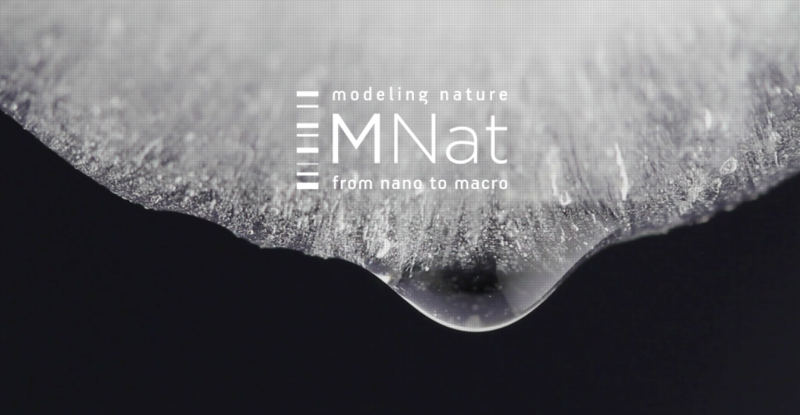 We have started a new Research and Training group “Modeling Nature: from micro to macro” (MNat). The MNat unit emerges to make progress and educate the next generation of scientists in challenging topics at the interfaces of biology, physics, biomedicine, engineering and mathematics. Only integrative approaches will allow improving our understanding on cell communication from microbial world to cancer cells, the exploration of new and intelligent materials in nanotechnology and biomechanics for medical applications, and biopolymer and network dynamics at different scales.